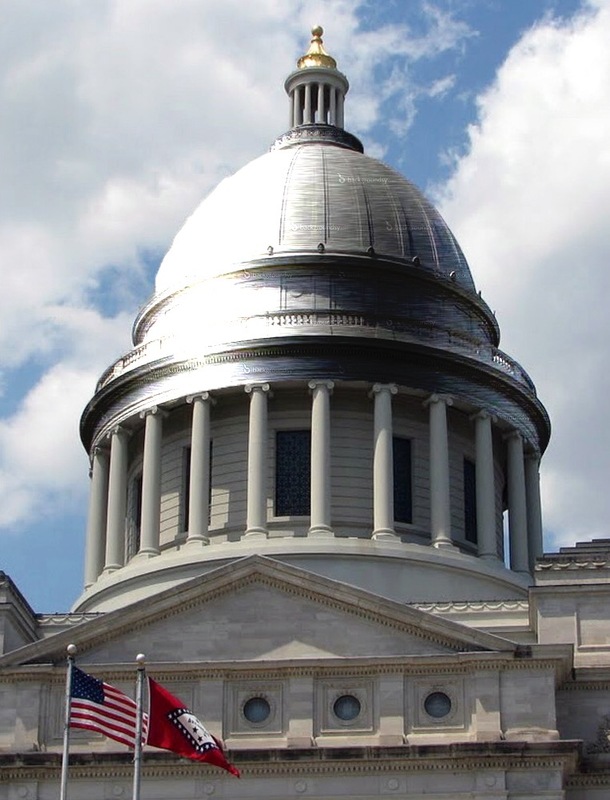 The Arkansas Senate this morning approved HB – 4115 that would allow for the Capitol dome to be wrapped by a North Little Rock sign and graphics company. 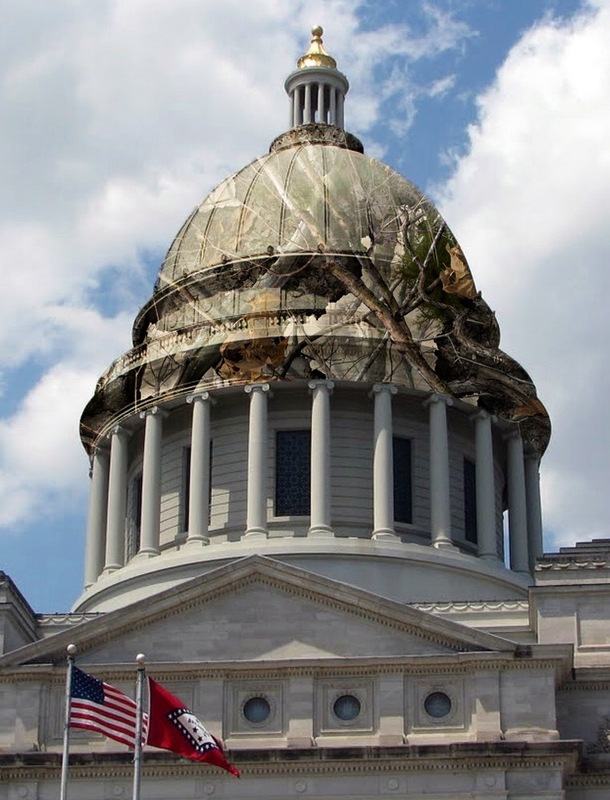 Proposed by Rep. Sidd Fitch (Mound City), this bill allows for the dome to be completely covered by either a camouflaged or metallic adhesive graphic. Rep. Fitch indicated that after reviewing many choices, the Dome Restoration Committee Members (DORCs) decided on these two final options. “We had nicknames for both versions – Camo Capitol and Chrome Dome,” said Fitch. The bill was written in such a way that final approval of the design will rest solely at the discretion of Governor Asa Hutchinson. Artist’s rendering of Chrome Dome. Not surprisingly, this bill has already been met with some vocal opposition. Some lawmakers expressed concern that the Chrome Dome would already violate SB-79 –the Personal Rights Protection Act currently under review. Due to its photogenic reflective nature, Chrome Dome would garner the attention of many passersby, all of which will be in possession of cameras. The natural tendency will be to take photos. However, since SB-79 was recently vetoed by Governor Hutchinson, people appearing in the reflection no longer have to be removed from the photos if they did not give prior consent. The Chrome Dome is still an option. Once the final design is approved, CustomXM, a printing and design firm in North Little Rock, will produce the graphics and apply to the dome. 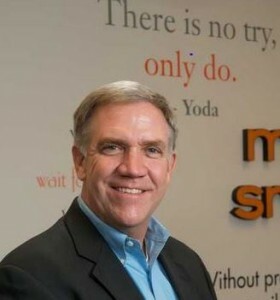 CustomXM president, Paul Strack explained, “This is an exciting project for us all. Since the current legislative session has been quite uneventful, we are proud to do our part to help call attention to our beautiful State Capitol.” Strack also explained that in order to comply with eco-friendly guidelines, all materials will be made from recycled products. “It will be the first time we will employ our newest production technique call ‘rehoming’.” This is a new process that takes ridiculous and nonsensical legislative bills from the current session and transforms them into something of value. Strack indicated that there would be more than enough bills to complete this project. Once ratified, the contract terms extend from April 1, 2015 through April Fools’ Day, 2016.